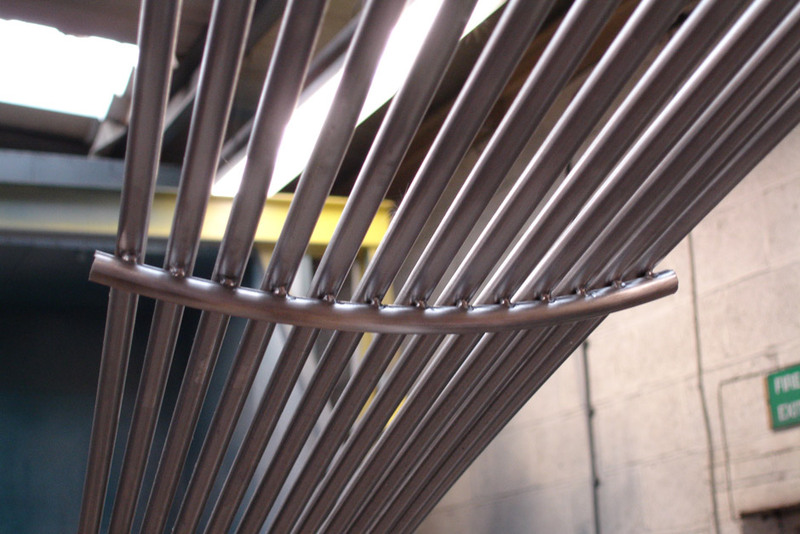 “Can you make trees?”, a somewhat strange question even for one of the Country’s most revered metalwork Companies, which would receive a reply with much enthusiasm “if they’re from metal, yes”, and a response we are very proud to be able to give with such confidence. 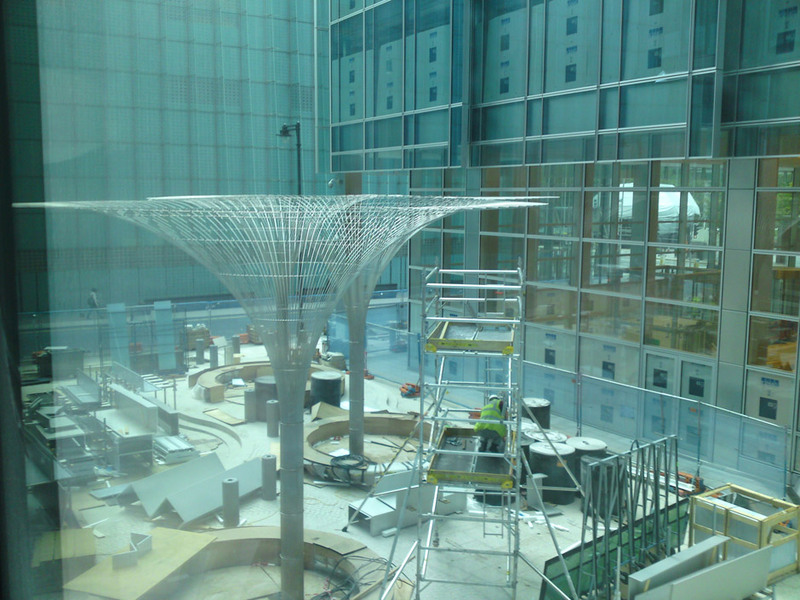 So the seed was sewn and the design concept of three entwining stainless steel trees was on the drawing board. 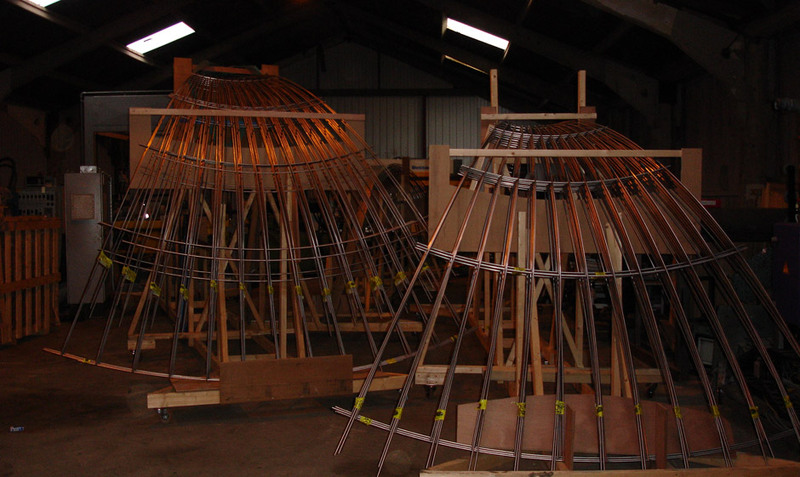 The sapling design was nurtured in-house with 3D modelling software to understand the full geometric shape of the design and introduce an element of simplicity into the manufacture of the component parts. 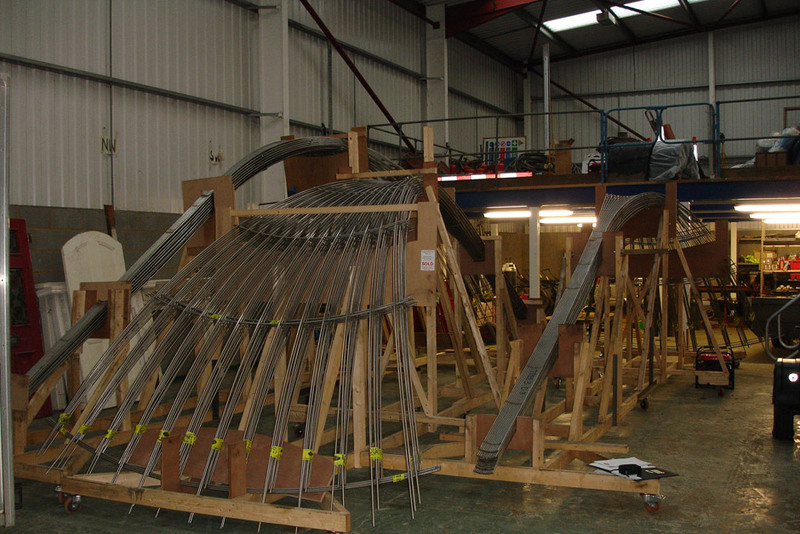 The computer model enabled us to generate the maximum number of identical components to create tool setting efficiencies, and minimise the number of complicated curved shapes. 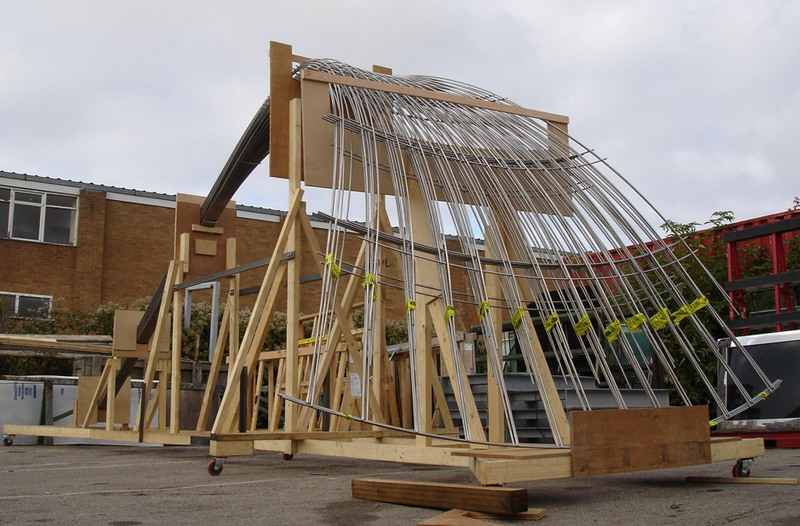 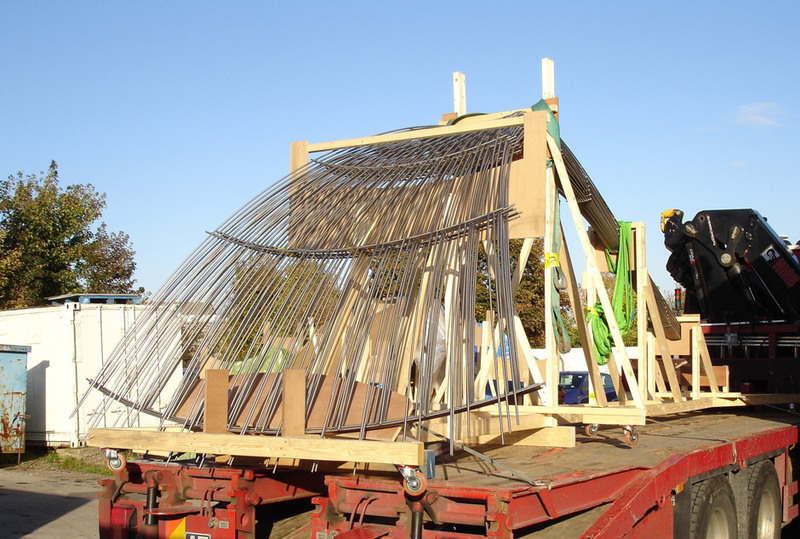 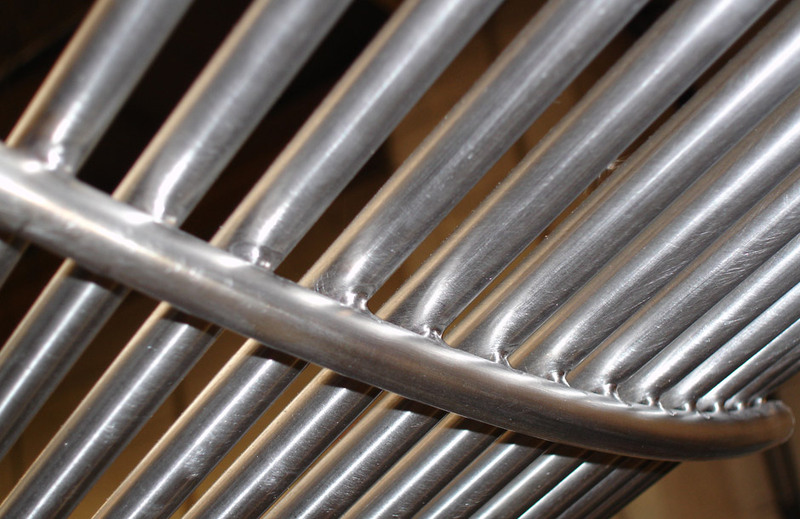 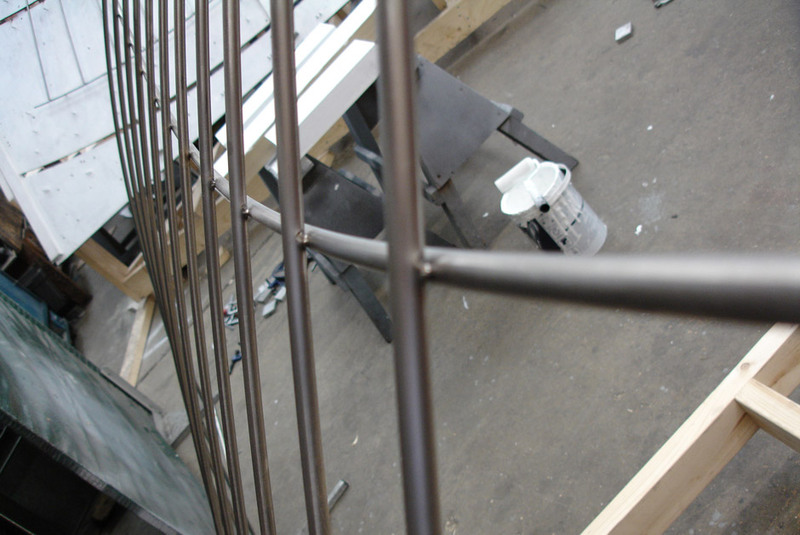 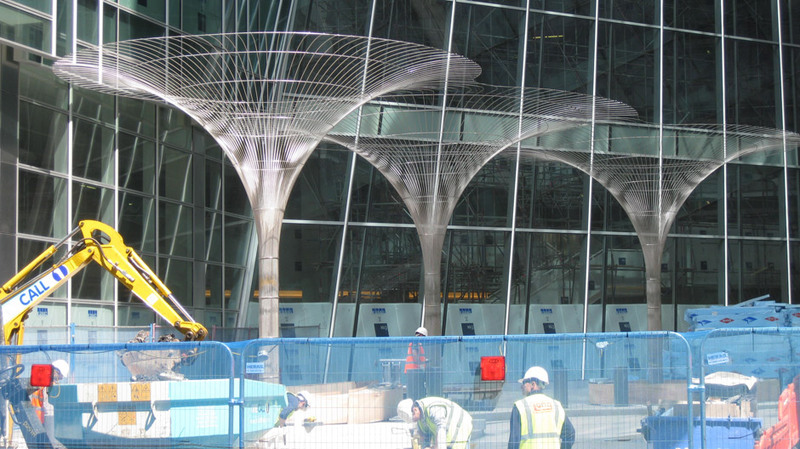 The core was structurally designed with a 325mm diameter x 10mm stainless steel tube which would provide the robust trunk, and the branches interlinking to form a canopy of 10mm diameter stainless steel rods some 9m wide x 21m long. 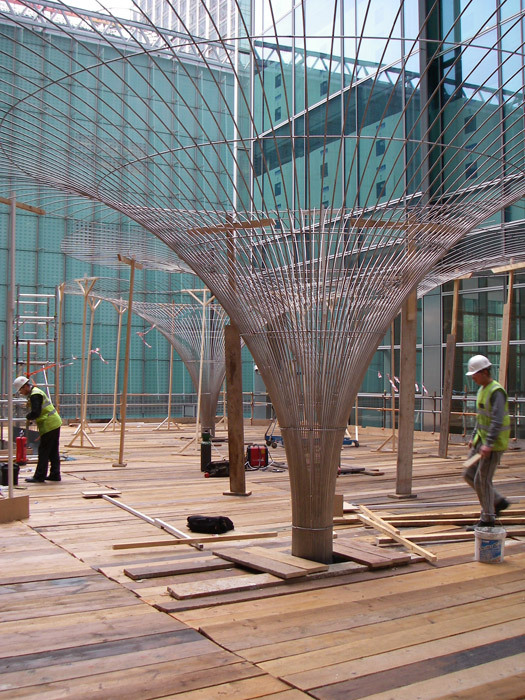 Each tree was split into eight equal sections which were factory assembled on purpose made jigs, and stored, and transported on special timber cradles to support the comparatively delicate nature until finally installed. 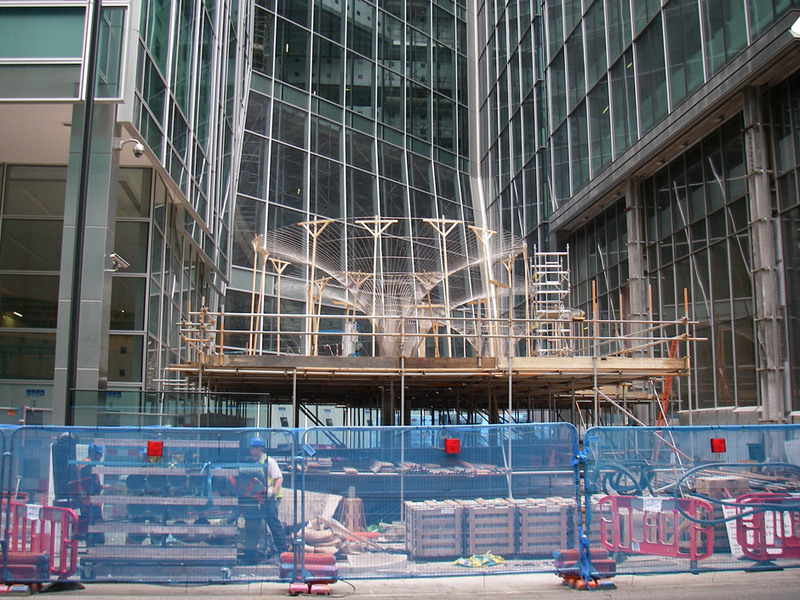 BF Bassett and Findley worked closely with the scaffolding contractor to design a platform through which sections could be lowered without obstruction, and would provide access for our site installation team to erect and weld joints between the hundreds of individual rods. 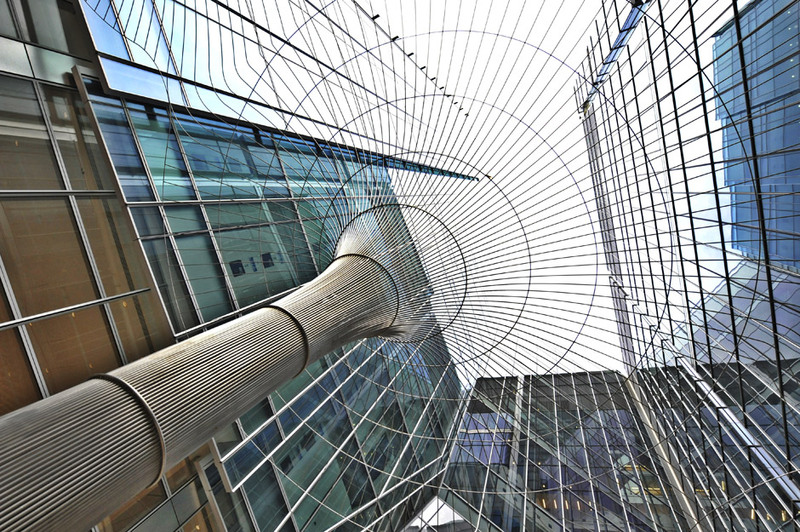 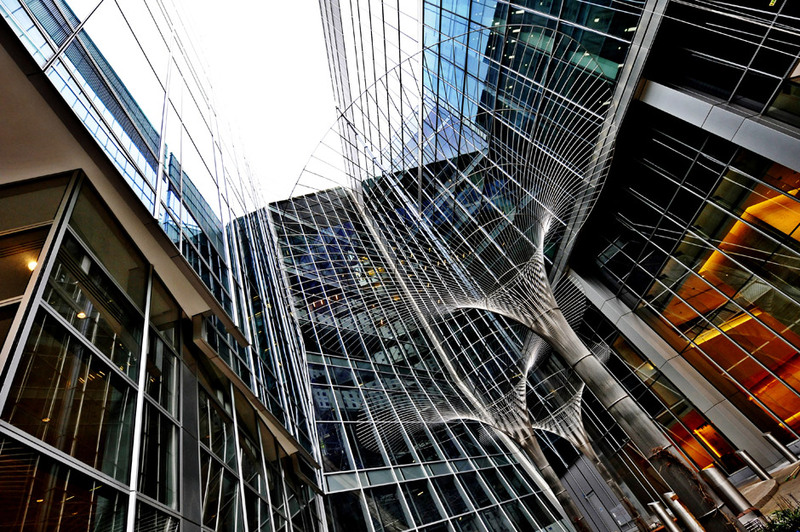 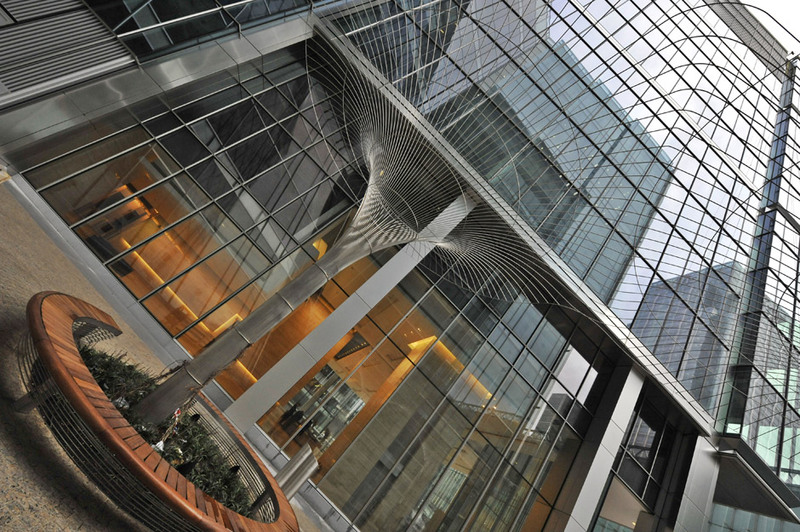 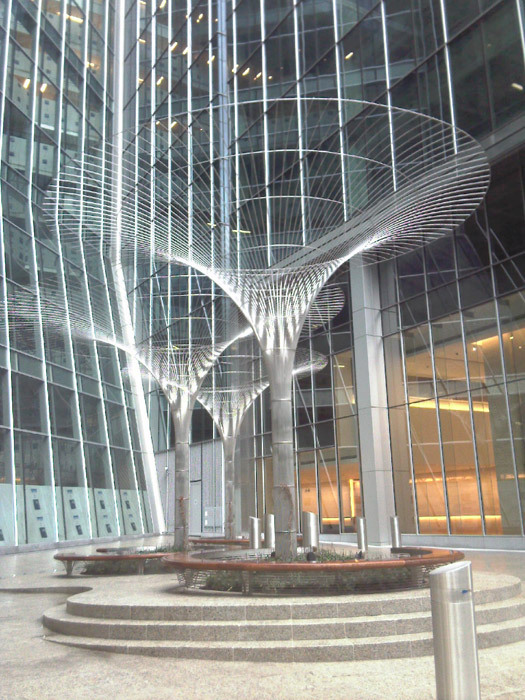 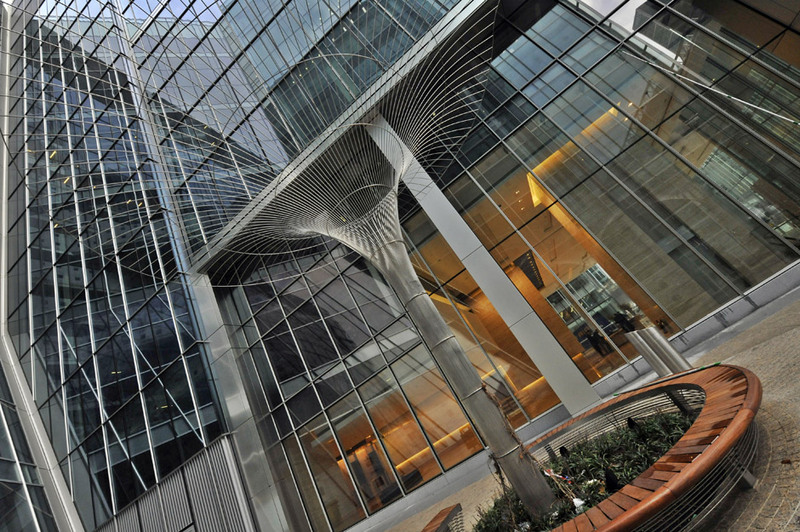 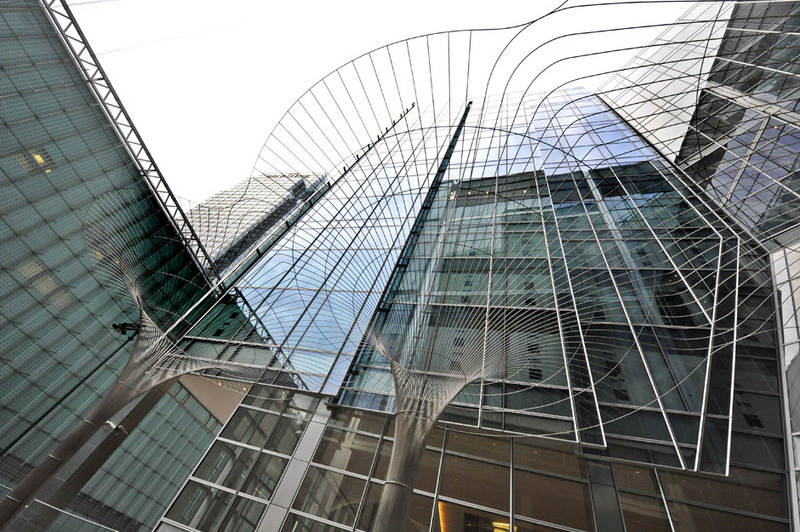 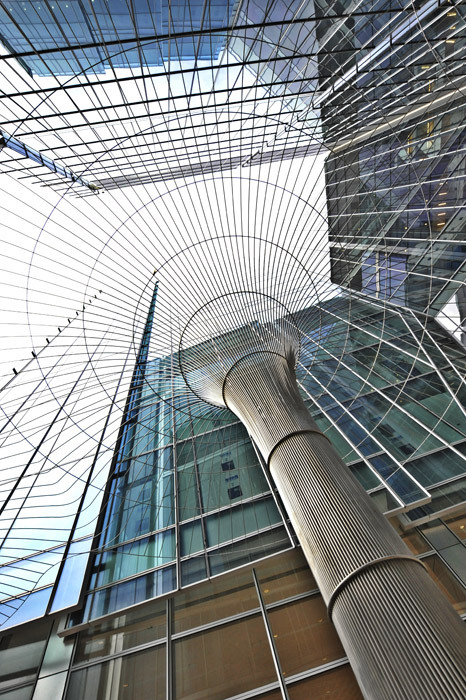 The final structure blossomed into a spectacular centre piece within a busy financial area of Canary Wharf.